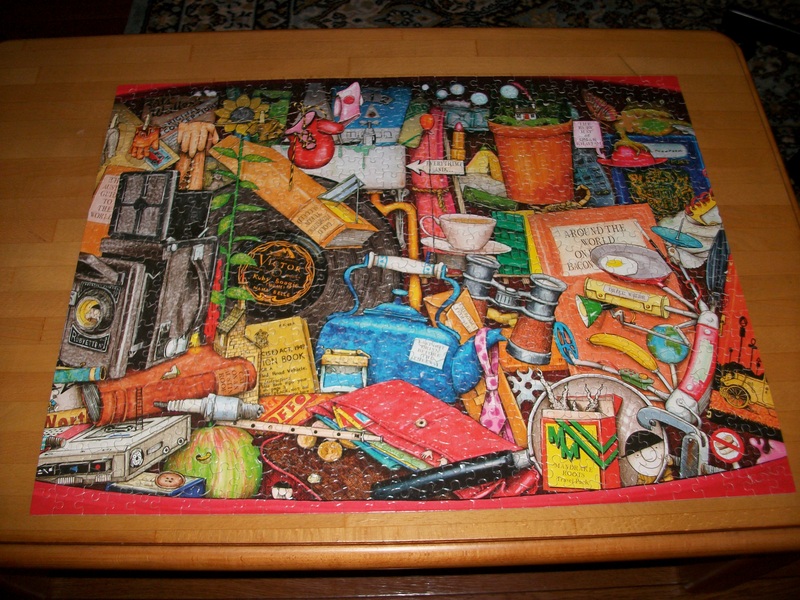 What better way to pass a rainy Sunday than to do a jigsaw puzzle, especially one as fun as this? And what greater happiness than to find the missing piece, the one I thought Twitchy had eaten, on the floor under the table? There are few things in life as satisfying as fitting in that last piece. It’s the ultimate act of closure, so complete. Life can be messy, complicated, festooned with loose ends and incomplete conversations and missed trains, appointments, opportunities, friends. So rarely do all the pieces fall into place so neatly. Happiness is not something we can chase; it’s something we can choose. Happiness is not Disneyland and birthday cake and giggles. Happiness is something much simpler, more basic. We can choose whether or not to let things make us happy. The blue sky is always there, above the clouds, whether we can see it or not. Happiness is a state of mind. It is calm, it is satisfied, it is accepting. It is the last piece of the puzzle falling into place.